In order to link underserved patients in developing countries with top radiologists from around the world, Alemhealth, provides an affordable and easy to use digital health solution. The platform allows medical experts to accurately and timely diagnose life threatening medical conditions through a proprietary telemedicine technology that the company developed in-house. 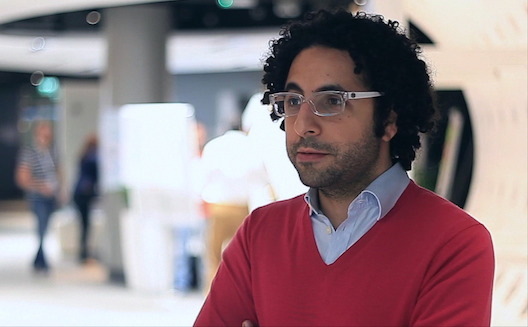 “We looked at the problem of a lack of healthcare innovation occurring in MENA and noticed that the healthcare facilities in these countries can’t actually link with the provider of the right services,” says Aschkan Abdul Malek, (below) cofounder and CEO of Alemhealth, who built the company with his cofounder Sajjad Kammal. Abdul Malek explains in the video above, how the platform links hospitals in developing countries to a global telemedicine network. A patient in Kabul walks into her physician’s office and receives a radiology exam. She requests that the images from her exam get sent to expert radiologists via Alemhealth. The physician then uses Alemhealth’s cloud based IT network to transmit the patient’s data (images) to an expert physician. The diagnosis is then sent back to the physician who consults with the patient on her condition. As cyber security has become a major priority in today’s digital world, some arrangements should be taken in consideration. "Learn how we can build “readiness,” solve for the complex challenges facing our operations and how we are securing our most important assets," will be at the core of Paul Rogers' speech, President and CEO of Wurldtech, a GE company, during the region’s first Minds + Machines conference organized by General Electric, in Dubai on November 2nd. Both Abdul MAlek and Kammal will be attending the conference to also get introduced to Predix, GE’s cloud-based platform that connects machines, sensors and control systems to help tech innovators harness the power of the Industrial Internet.